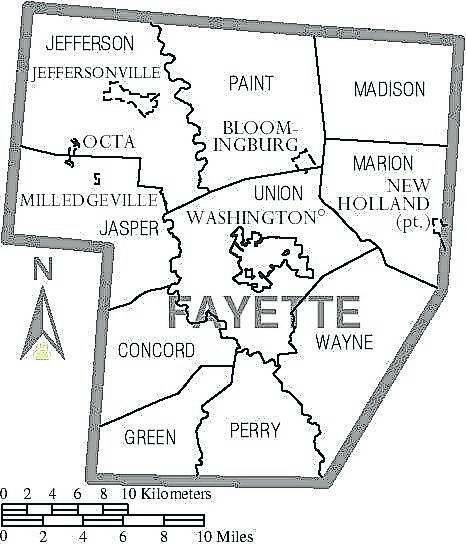 It’s official: a tax levy for a new county jail will be on the ballot in Fayette County at the May 7 special election. After the commissioners announced earlier this month that they would be asking the community for financial support for a new jail, the Fayette County Board of Elections recently certified the issue, which is currently the only local issue on the ballot. Potentially, Village of New Holland issues could be added in the near future, according to board of elections officials. The commissioners passed a resolution declaring the necessity of an additional tax levy in excess of the 10-mill limitation imposed by state law. The 1.9-mill levy that will appear on the May ballot is broken into two pieces — the first covers the amount which will be required to pay the interest on and retire the bonds at 1.05 mills (or $0.105 per $100 of tax valuation) with the current tax valuation of the county at $866,635,240. The second piece of the levy is .85 mills for a continuing period of time for the purpose of securing the funds to pay for operating expenses associated with the jail and other criminal justice services for which the commissioners may make an appropriation under the ORC. In order to be able to ask for assistance from the community, the commissioners have spent the last several months completing a series of studies, including an environmental study and a needs assessment — just to name two — to determine the exact size, location and safety of the new jail. Shremshock Architects, Inc. — based in New Albany — was selected in 2017 to perform a feasibility study prior to designing plans for the new jail. Shremshock architects have designed hundreds of detention facilities nationally and internationally with area projects, including the Franklin County Detention Center in Columbus and the Madison Correctional Institution in London. After completing these studies, it was determined by the Shremshock needs assessment that the size of the current jail — which has capacity for 24 — will be multiplied by five times to a capacity of 120 inmates to help cover the needs of the county over the next 30 years. Additionally — according to commissioner Dan Dean — the new jail will be outfitted with the full body scanner that is at the current jail and will also include specialized care facilities for mental health and drug rehabilitation. For this year’s Nov. 5 general election, anyone wishing to run in any nonpartisan race must file with the board of elections by Aug. 7 at 4 p.m.